Welcome to Our Houston - River Oaks HotelLocated halfway between the Galleria Mall and downtown Houston, our hotel is perfectly suited for both business and leisure travelers. By day you can attend meetings and conferences, and by night you can enjoy the many shops, restaurants and attractions around the city.The Crowne Plaza Hotel Houston - River Oaks is 100% non-smoking and is situated on the Southwest Freeway near Greenway Plaza.. You can also easily get to the Texas Medical Center, Rice University and University of Houston. If you need to host a special event or meeting, take advantage of our reputation as "The Place to Meet" in River Oaks. Our hotel offers more than 12,000 sq ft of space, a 24-hour business center, 2-hour RFP response and a personal Crowne Meeting Director.Are you visiting for fun? 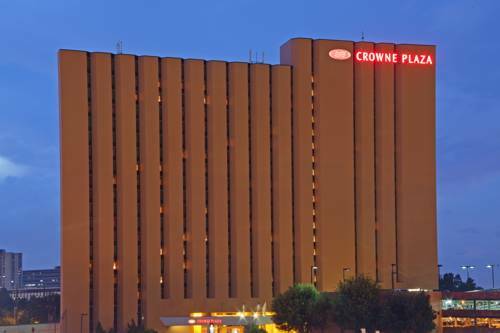 Staying at the Crowne Plaza Hotel Houston - River Oaks means easy access to attractions such as Houston Zoo, the Toyota Center, Minute Maid Park and the Houston Livestock Show and Rodeo. Our complimentary shuttle can also take you to the immense Houston - Galleria Mall if you prefer shopping to sports games.Whether you're vacationing or attending a meeting, we're the best place to stay near downtown Houston. Hotel amenities you are sure to enjoy include an outdoor pool, a 24-hour fitness center and the on-site Reeds Restaurant and Bar & Lounge. Serves a complete American menu with a full bar. Serving fresh Gulf seafood fried, broiled, boiled or sauteed. Full bar. Hermann Park Golf Course open 7 days a week to the public and conveniently located for visitors to The Texas Medical Center, The Museum District, Rice University, Downtown Houston, with easy access to every other destination via major city thoroughfares.